Normally, this blog is dedicated to providing information on financial planning. But today's post will simply be my own personal observations on the true measure of a community. On May 23, 2014 my alma mater, UC Santa Barbara was rocked by the senseless murder of six students in Isla Vista. There has always been a special bond we have as Gauchos. Having attended one of the best, most beautiful campuses, filled with smart, outgoing students, we have the common language of our time spent there. We consider ourselves a tight knit community. It's really easy to be part of a community when things are going well. We get together to share stories of our time on campus and relive, for a moment, the great experience we all had while at UCSB. The litmus test of the strength of a community is when adversity strikes and Memorial Day weekend will certainly go down as a severe test of our Gaucho community. I'm proud to say that our community passed the test with flying colors. Within hours of this horrific event, our Gaucho community responded in force in support of our beloved campus. Vigils were organized, a victim support fund was created and social media exploded with words of love and support. In the ensuing days, there have been candlelight vigils and rallies held all over the world and, on Tuesday, May 27th, 20,000 people packed Harder Stadium for an incredibly moving memorial for the victims that was live streamed to many thousands more. 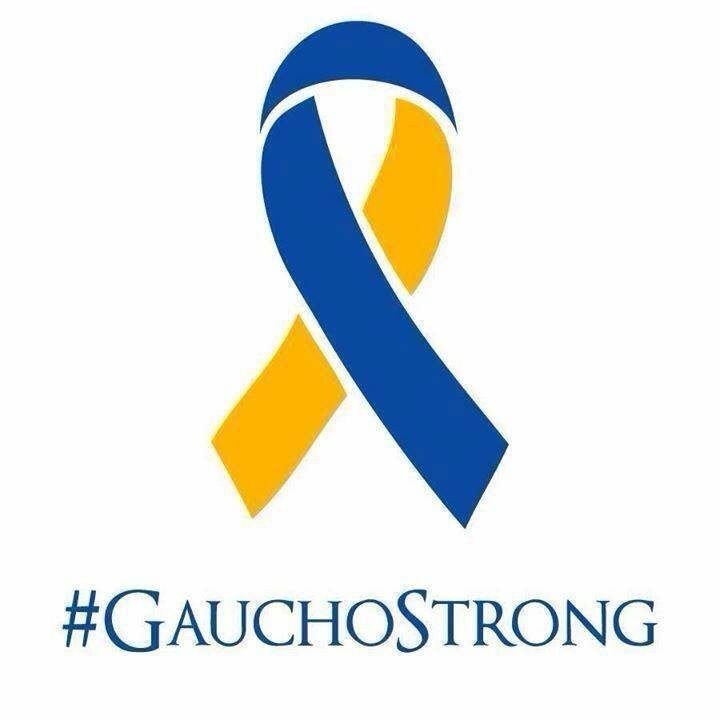 Though I am deeply saddened by this tragedy, at the same time I could not be more proud to call myself a Gaucho. Our community has been rocked by this, but it has come together with a strength and resolve that is awe inspiring and cements my feeling that I am truly blessed to be part of this outstanding group.